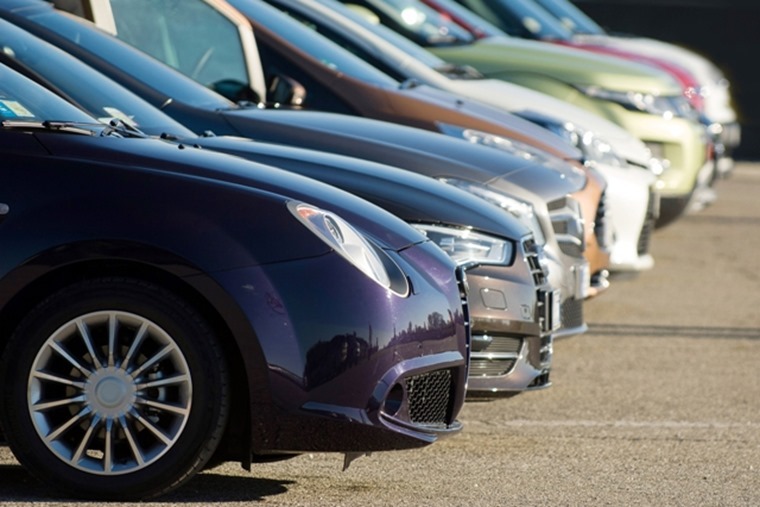 The UK’s new car market declined by –3.5% year-on-year in June according to the latest figures from the Society of Motor Manufacturers and Traders (SMMT). 234,945 new cars joined British roads last month, compared with 243,454 in June 2017. Private registrations fell –0.6%, while fleets saw a –6.4% decline. In terms of the cars themselves, it’s smaller cars that remain most popular, with supermini and small family vehicles taking a combined 57.4% market share in June. There was good news for the alternatively fuelled vehicle sector, with a 45.0% year-on-year increase in plug-in and hybrid registrations as consumers responded to a growing range of models. Petrol cars also attracted more buyers, with demand up 12.3%. 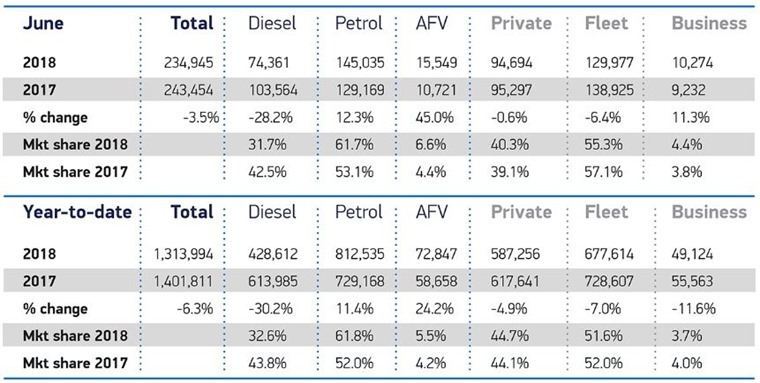 However, this growth was not enough to offset continuing decline in diesel registrations, with a -28.2% fall a result of continuing consumer uncertainty over future policy towards this technology. Mike Hawes, SMMT chief executive said: “Despite a rocky first six months for the new car market, it’s great to see demand for alternatively fuelled vehicles continue to rise. The decline comes weeks after the SMMT urged the government to clarify its position on Brexit and to ensure a deal is reached that will deliver the same benefits as the single market. 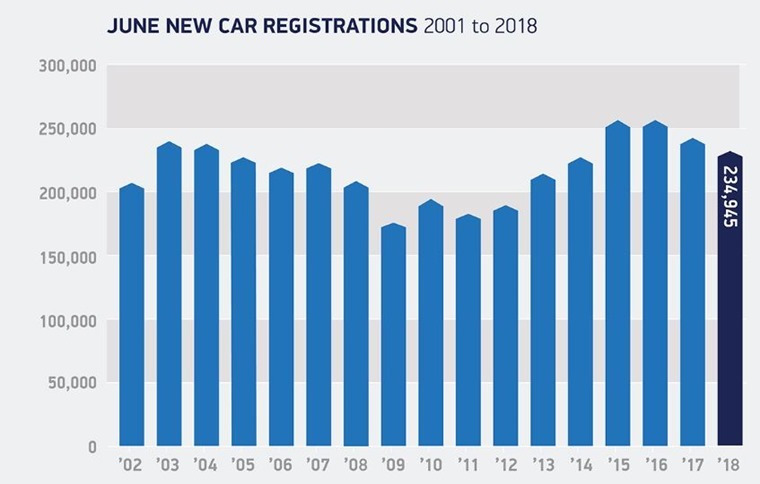 Ashley Barnett, head of consultancy at Lex Autolease commented: “June is traditionally stronger than May for new car registrations, but consumers and businesses are still hesitant when it comes to replacing their cars. The Ford Fiesta remained the most sought after new car in June, meaning more than 56,415 have been registered so far this year. In second position, the mighty Golf replaces the Focus, with the Ford dropping into sixth for June – possibly in anticipation for the all-new model that’s on the way. Year to date, however, the Focus remains strong in third, but it can’t beat the mighty Golf. Mercedes’ A- and C-Class have made it onto 2018’s list too, showing demand for premium vehicles remains strong.